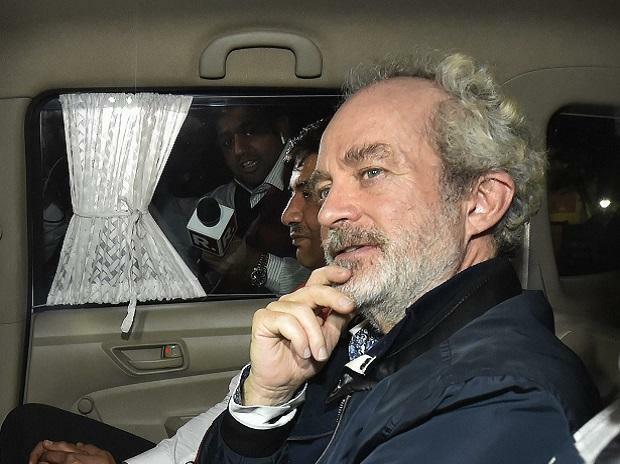 Christian Michel, arrested in the Rs 3,600-crore AgustaWestland chopper deal, alleged before a Delhi court on Tuesday that CBI had asked him in Dubai to implicate certain persons in the case, failing which he would face problems in jail. The threat to him was given before he was extradited to New Delhi, he said. Michel made the allegations through his lawyer before the court while opposing Tihar Jail authorities' move to shift him to a high security cell in isolation. The Tihar jail authorities submitted that there was threat perception against Michel after the Pulwama attack in which 40 CRPF jawans were killed by Jaish-e-Muhammed outfit in a suicide attack. Special Judge Arvind Kumar directed the jail superintendent to shift Michel, who is currently lodged in jail number 2, to some other cell in the jail. Michel was arrested by the Enforcement Directorate on December 22 after his extradition from Dubai. CBI's special public prosecutor, D P Singh, denied the allegations, saying the submissions were "farther from the truth". During the hearing, Michel's lawyer Aljo K Joseph said, "CBI officials met him in Dubai and he was told that if he does not name certain persons in the case and give desired confessions, he will face problem in the jail. That's what going on. In the name of security, he is being isolated and his freedom is further going to be curtailed." The CBI, however, denied the allegation. "These allegations are farther from the truth. Everyday they are making new allegations. They only want to scandalised the things. They have also made false and frivolous allegations like he had to go for open defecation which are false and giving bad name to the country. They have made a joke of this court. "The foreigners who are to come from outside the country, are taking these grounds that facilities in Indian jails are not good enough. Trying to scandalised the court by allegations of open defecation etc.," the CBI counsel told the court. In his submissions, jail superintendent Joginder S Sehrawat told the court that the accused was in a high security cell and the facilities were the best. "He can be shifted to some other ward if he want, but those are already overcrowded. There was threat apprehension after Pulwama attack. Foreigners were given special care so that no harm is caused to them," he said, adding that the accused was 'high profile'. He also submitted that jail numbers 1, 3 and 4 were also high security jails and they were for undertrials while jail number 2 was for convicts. After recording the submissions, the court said, "Shift him in 1, 3 or 4 jail number. All the facilities provided to other jail prisoners be provided to him. If he is kept in high security, there should be some reasoning." "Jail authorities shall make necessary assessment regarding any threat to the accused and shall take decision accordingly to keep him in a suitable cell," the court said. The court had on February 28 lashed out at the jail authorities for failing to justify shifting of Michel to a high security cell in isolation, saying it will start an inquiry if it did not get a proper response. It said the accused had been lodged in jail for over 70 days and what had happened suddenly due to which he was shifted to the high security ward. Michel had moved the plea claiming that he has been kept in solitary confinement in the prison and was not allowed to interact with co-prisoners. The plea had sought direction to the authorities to treat Michel at par with other inmates and provide basic facilities during his judicial custody and to shift him from high security prison to a normal cell. It said when Michel asked for reasons for his "solitary confinement", the jail authorities told him it was the "decision from the top" and there was "serious threat" to his life. On January 5, he was sent to judicial custody in connection with a money-laundering case being probed by ED. Later, he was arrested by the CBI and is lodged in judicial custody in a CBI case related to the chopper deal scam.